"I'm pursuing life, the truth, what we're living in this hustle and bustle society of the rat race, you know, trying to get the money, trying to get the material possessions so we can one up each other and say 'haha, look I'm better than you,’” he said. “I'm trying to get out of that. I'm trying to stop. I'm trying to bring back the way it's supposed to be. I'm trying to get back to the source of living. Surviving, not competing." He’ll have to compete for a little while longer though, because for now the money to fund the dreams of a sustainable, off the grid life (and the technology that requires) comes from stepping into the Octagon and doing his spirited, tricky thing. 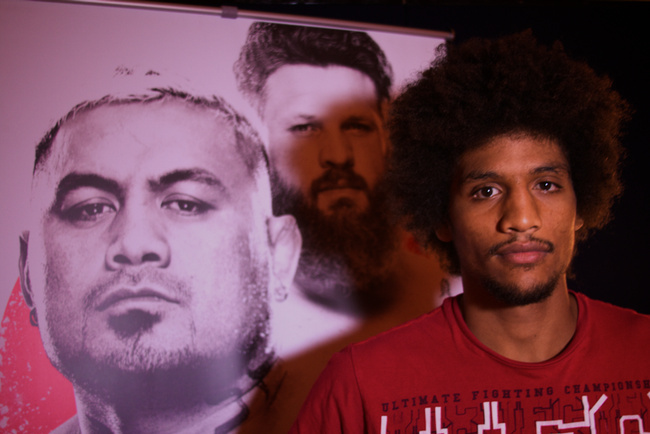 His fight tonight at Fight Night 52 is a bout he should win, and perhaps he’ll finally get off of the prelims and the UFC will figure out that his performance against Urijah Faber wasn’t a fluke. That fight demonstrated his toughness and his ability to hang with the best. Even if he wins though, any UFC change of heart may come a bit late for a man who is building up a philosophy that centers much more around planting seeds than fighting. “On my off-time I try to educate myself on free types of energy, and I still get to grow in my garden." "In Arizona we have a garden in our backyard, so we grow lots of fruits and vegetables. We got a goji tree going… "
What?! I didn’t even know you could grow those using the berry. "Yeah, it's pretty crazy. You get those raw goji berries from the pack and you can actually plant the berry in there and it'll sprout up. You can plant one and it will take about two or three years to grow. They're about six to ten feet tall, about four feet thick. They're pretty big trees." Living off the grid, being self-sustainable, a striving for something better in life that doesn’t revolve around rampant consumption. Traveling the world and constantly learning. At it’s core Alex’s outlook is a positive, energetic ethos. 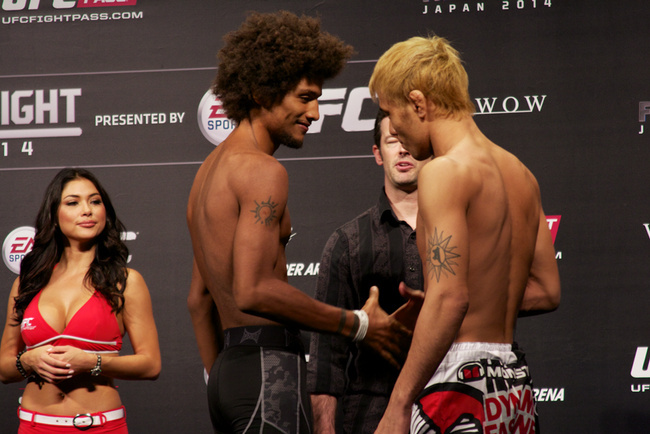 And that’s the vibe Alex Caceres want to keep putting out there. How do you reconcile fighting as a vocation with your dreams of a new life?